We offer full-service fulfillment options to our customers. Whether for bulk dissemination or individual bottle shipments, we co-ship collateral utilizing your shipping accounts with the carriers of your choice. We provide complete packaging and labeling or use those materials provided by our customers. We ship by refrigerated carrier and/or on dry ice. All options, including temperature sensors and tracking in transit, are available. Axenia pioneered the development of a large-configuration, insulated shipping container that accommodates of up to 572 x 500mL bottles in a single container maintained by dry ice. 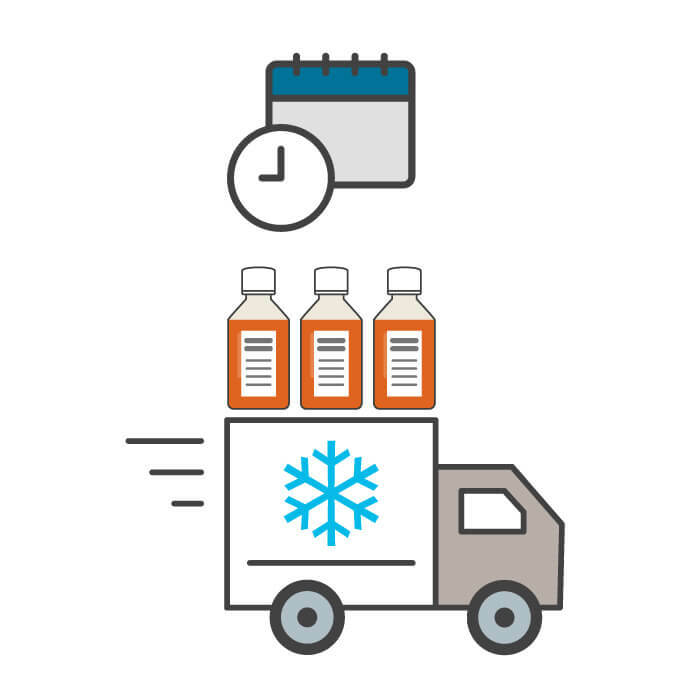 This packaging innovation permits the cost-effective and risk-mitigated transport of frozen, high-value product to most international destinations.